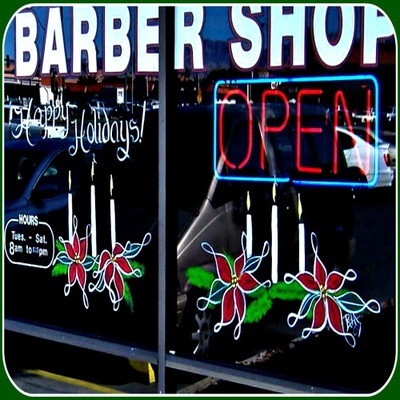 The most popular of the seasons to decorate are Christmas. The following are Maria's unique designs for the winter holiday decorating season. You will learn the basic techniques on how to paint these and many more images in The Essential Window Painting Guide. The beginning guide is available now. Buy your copy today! Poinsettia and pine are interwoven into this unique window border. 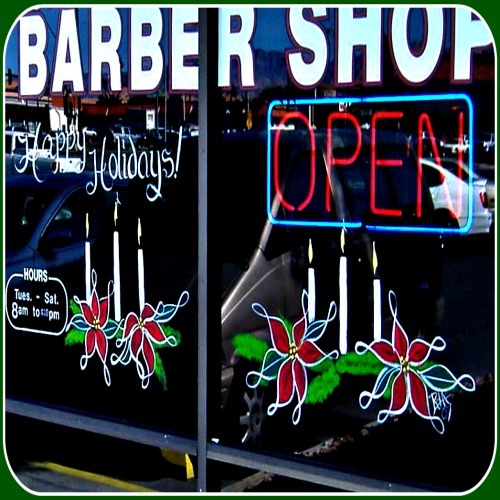 Candles, poinsettias, and pine boughs dress this barbershop window. Candy canes and holly in a border for a door.